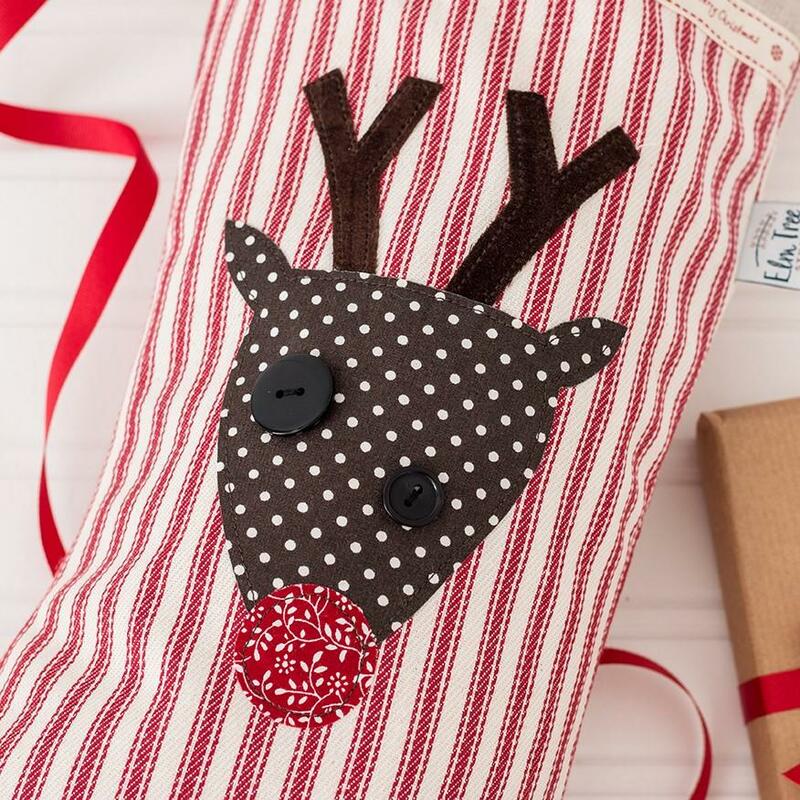 Everyone needs a Christmas stocking, and these are perfect for hanging around the fireplace. Personalised with the name of your choice. The traditional Christmas stocking is a must for the festivities. 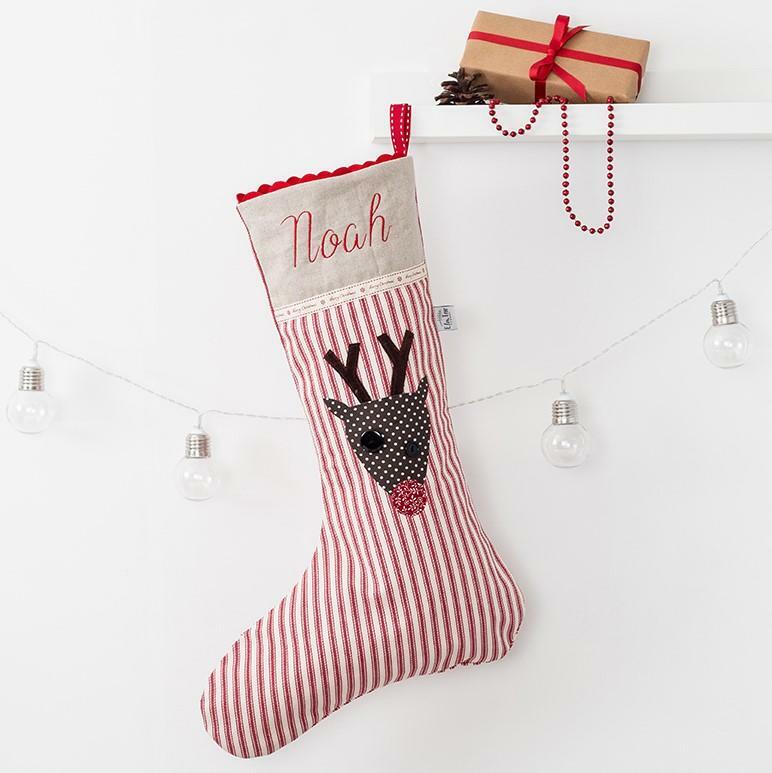 This stocking will last for years and will become a part of your family's Christmas tradition. The stocking is made from a heavy weight red and cream ticking stripe cotton with a natural linen cuff around the top edge. The linen cuff is trimmed with both a Christmas ribbon and festive red ricrac. The cuff is then embroidered with the name of your choice. 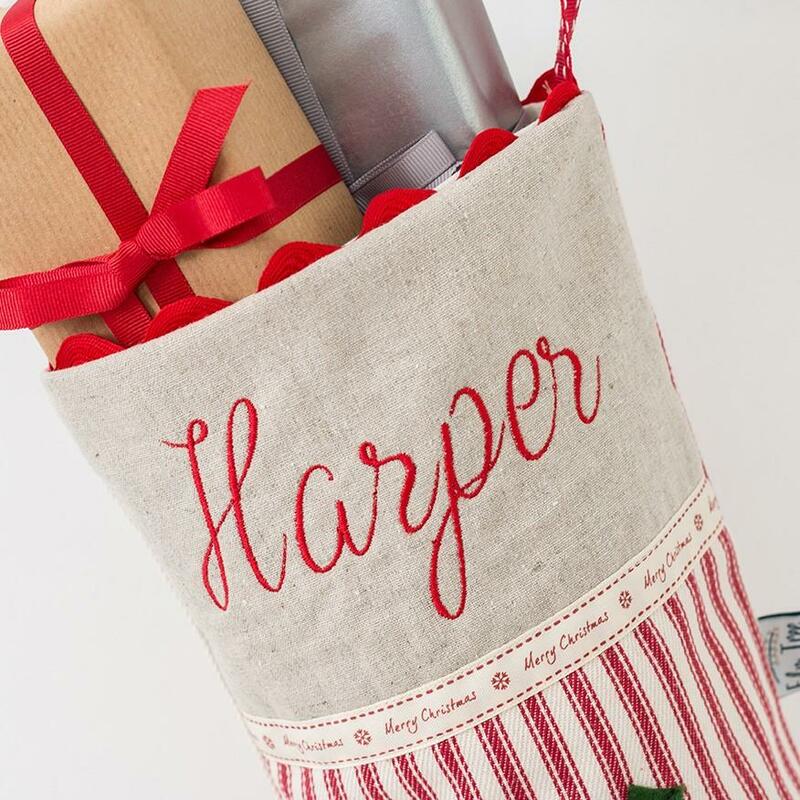 The stocking is fully lined with cotton and has a festive red ribbon hanging loop.